Sen. Kirsten Gillibrand Is Just Another Delusional Leftist! 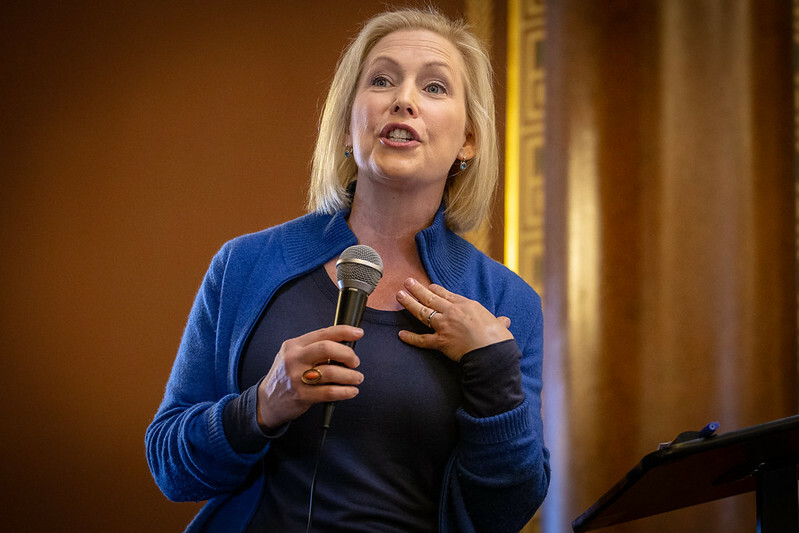 2020 presidential hopeful Sen. Kirsten Gillibrand claimed in an interview this week that, if done using market forces, there is “nothing socialist” about the Green New Deal — a proposed vast government-led overhaul of the nation’s economy and energy use. Gillibrand made the comments in an interview with New York Magazine, where she was asked about her support for the controversial plan that has shot into Democratic mainstream thought after spending years as a fringe, far-left idea. “I love the framework of the Green New Deal, and the reason is this: I believe that global climate change is the greatest threat to humanity that exists in our generation, and it needs a bold and powerful set of solutions to actually attack it, and to solve it,” she said. Water Is Now Considered Offensive This Is Getting Out Of Control! College Students Nothing More Than Liberal Terrorists... Make Demands At Private School! Global warming. as the comet deposited ice from the 5,000+ B.C. comet that left behind the polar ice packs atop semi tropical bioms melts. may be true, but global warming because of the very slite rise in carbon dioxide (from the pre industrial revolution of 0 0.25 % to current day 00. 33% of the atmossphere) (a rise of less than a tenth of one percent) is not true. Massive tazation to stop the Global Warming as we return to the climatic biomes of the pre-flood is insane and usless, making that absurd taxation criminal. These taxation dreamers need to be told to kiss-off. Government spending your money for you is poverty creating. The resulting miss-allocation and graft will impoverish our whole nation while chasing an absurdity.